I squared up the blocks to 9 inches, added a few Tall Ship blocks and the words “Don’t set sail on someone else’s star”. I have more photos and details on my blog post today. Thanks ,everyone, for the lotto winnings! One of my grandkids will get this quilt when they graduate from high school. That will be a while so into the hope chest it goes. What a great combination of blocks and some words to live by. What a great quote. I’ve never heard the African Proverb … makes you wonder what the story is behind it. 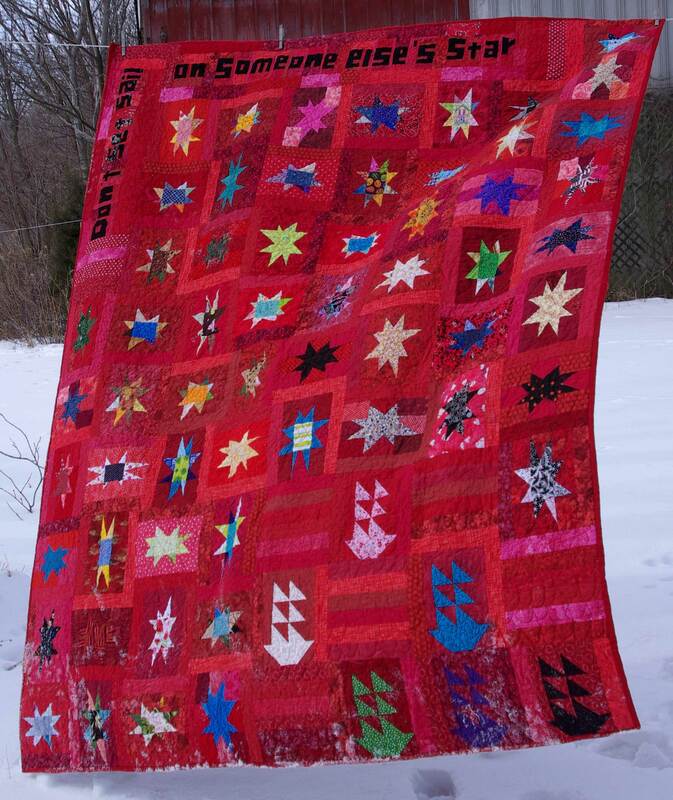 I said it on your blog and I have to say it again–I love every little thing about your quilt. Lucky grandkid! 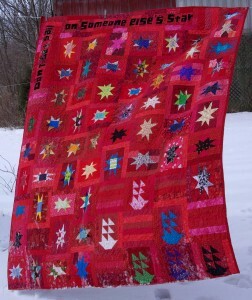 It is a great quilt! Off to your blog to learn more about it. As Sophie said, “Lucky grandkid!”.